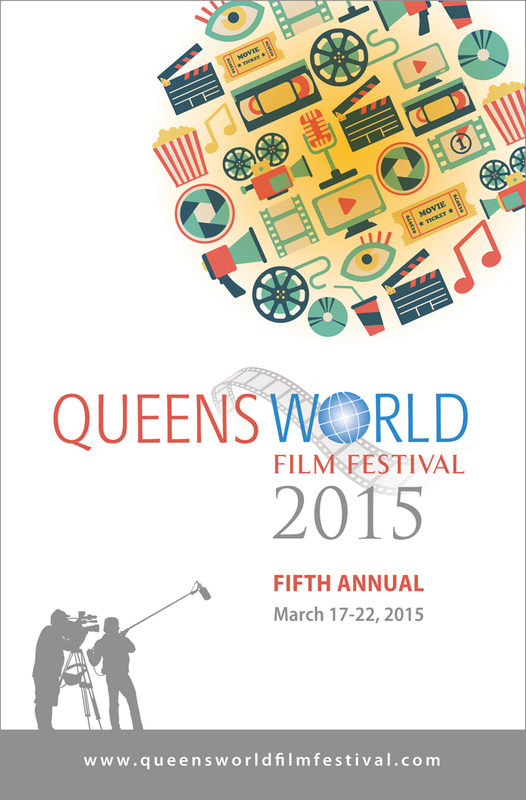 Very happy to present my poster design for the 5th Annual Queens World Film Festival 2015! This great event kicks off at many Queens venues and theaters from 3/17-3/22-2015. All schedules of events/movies and ticket information can found here at the QWFF site.